I’ve had the new Gear 360 (2017) for a few days now, long enough to compare the video and photo quality with my old Gear 360. I went out to my local park, armed with my two Samsung 360 cameras, and took some 360 photos and videos with each of them in the same position with the same settings. The reults are shown below, I’ll let you have a look at them before I go into any analysis. 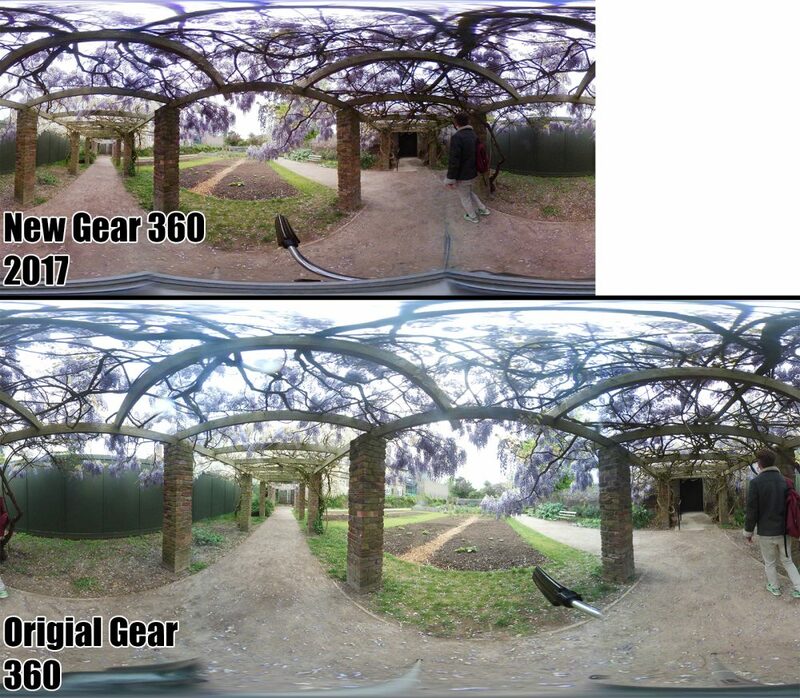 Lets start with a comparison of the 360 photos. 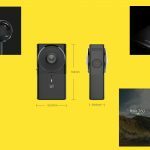 The old gear 360 can shoot 30 megapixel photos, however the 2017 gear 360 can only shoot 15 megapixel; this is why they are a different size in the flat image comparison. These images were stitched using the action director and both cameras were set to maximum resolution with 800 ISO and automatic light balance. After looking at both the flat images and the 360 images from both cameras, I can only conclude that the old Gear 360 takes better 360 photos when compared to the 2017 version. 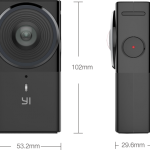 This isn’t too surprising to be honest, as soon as I saw that the new Gear 360 would cut the resolution by 15 megapixel, I had little hope that they could improve on the overall quality. For the video comparison, I took video shot with both cameras and put them side by side in a non 360 video. This should allow you to compare the subtle differences in video quality more easily. 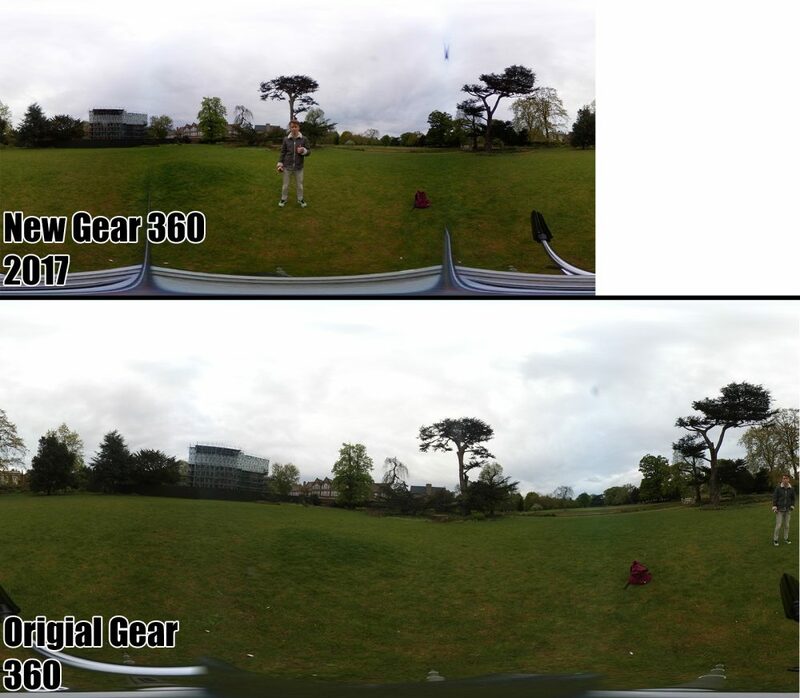 I’ve also uploaded video in the 360 format from both cameras, so you can see how it looks. 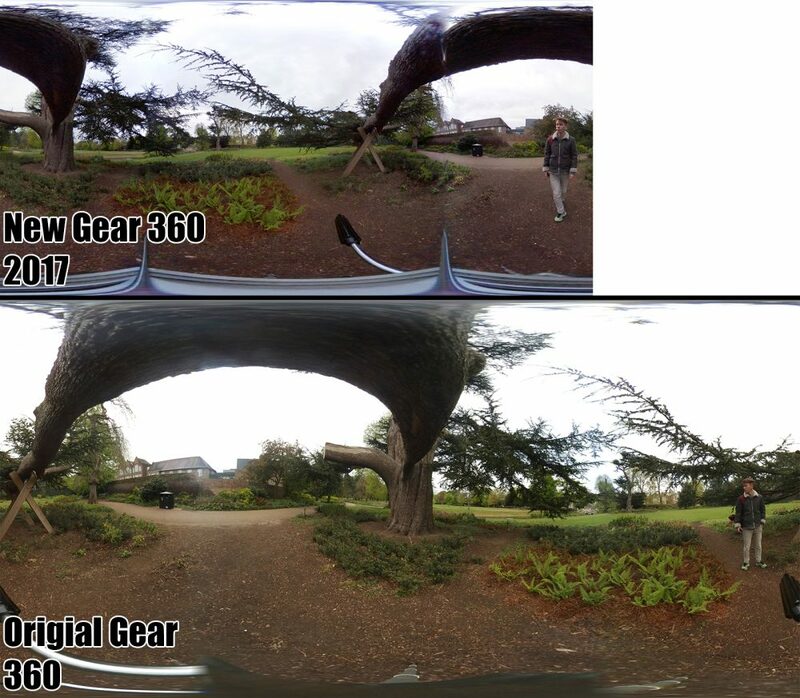 The new Gear 360 received a boost in video resolution compared to its older brother, shooting at 4096 X 2058 vs 3840 x 1920. I’m going to continue using the new Gear 360 for a few more days before I write up a full review. In the mean time, you can check out a full specification comparison between the two cameras or see some more footage show with the New Gear 360 on my YouTube channel. The product key for action director is your serial number. There is a new version of action director for the 2017 Gear360 which takes the 11 digit serial number. I may have a different kind of question, though. I’d like to use these cameras for taking 180 degree photos of a couple of places over a period of time. What’s the point? I’m a computer scientist and I like cataloguing user behavior. Later, using this information I make revisions to the applications I build. Strange, I enjoyed the colors of the old version in all examples. I’m not a photo/video expert at all, could you explain why you think the new one is better in this regard? I own the 2016 model …. should i upgrade to the 2017 model ? ?